Our goal at Tug Dogs is to provide you with professional services and clear communication before, during and after training. We know that when you understand the process and what you can expect from us, it leads to better training success and more satisfaction with the process. Should you have additional questions, please get in touch! Are Tug Dogs trainers experienced/educated in dog training? Yes! Tug Dogs is owned and operated by professionally certified dog trainer Erin Kramer. With 14 years of experience in dog training and with a focus on helping dogs with serious behavior challenges, Erin has remained committed to only training and hiring the best dog trainers in the industry. All Tug Dogs trainers have completed 2 professional trainer’s courses, a lengthy apprentice program directly under Erin, and passed both hands-on and written dog training examinations in addition to receiving continuing education. Our trainers work with a wide variety of breeds and behavior problems and are some of the most experienced and educated dog pros within the industry. We are proud to have glowing reviews of our dog training services across our online presence and have also won several local dog training awards. 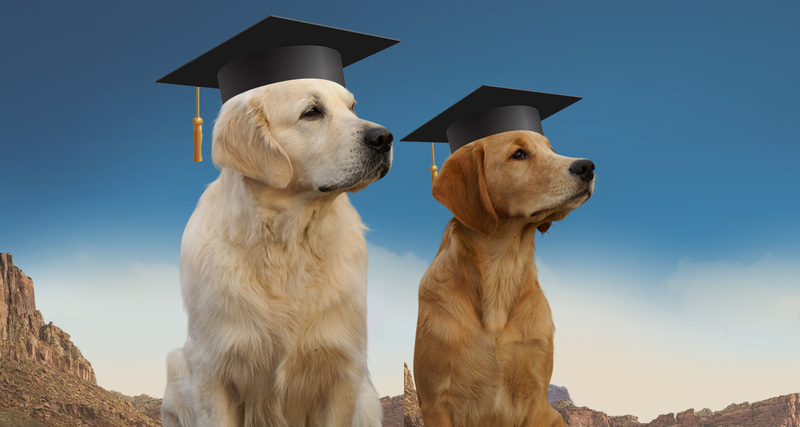 Collectively, we have 30+ years of dog training experience and pride ourselves on using that knowledge to help you and your dog live better lives together. Does Tug Dogs only work with fearful, aggressive, or anxious dogs? Whether your dog is not listening to commands, pulling on their leash, jumping up on guests, or struggling with more serious behavior challenges, we can help! Tug Dogs trainers are highly experienced in helping dogs of all shapes and sizes learn doggy manners, perform obedience commands reliably, and learn the skills needed to make them easy and fun companions to live with. What behaviors do you offer training for? What does comprehensive training mean? When you and your dog sign up for training at Tug Dogs, you will be receiving the most cutting edge and comprehensive training available. This means that your trainer will carefully investigate the root causes of your dog’s behavior so that we can customize a plan that tackles your dog’s behavior issues in the manner that is fast, fair, and effective. Training often fails when owners and trainers focus on getting the dog’s body to comply without considering the dog’s mental and emotional state. For example, if your dog reacts to other dogs you encounter while on leash, a sit/stay command only focuses on controlling what your dog’s body does. Conversely, our training methods have an emphasis on changing how your dog feels in exciting, stressful, or stimulating experiences. When your dog’s view of the world changes, they naturally stop barking, lunging, or acting out of control…no sit/stay required! Our comprehensive training has allowed us to transform anxious, reactive, aggressive, and poorly mannered dogs into family pets who are more confident, well behaved, and able to enjoy life better. How do you train dogs (what methods do you use)? At Tug Dogs we do not utilize a one size fits all policy when training dogs. We make it a priority to listen to you and to work on the training that will most benefit you and your dog rather than only trying to teach your pup commands that do little to make your life easier. Our focus is 100% on making the best life possible for you and your dog. We use the evaluation session to get to know your dog and find out how he or she sees the world so that we can create a training plan that will provide the best training possible in the least amount of time that will provide long term results. During that evaluation, your trainer will be able to give you specific information about what training is best for you. The evaluation will also give you the opportunity to see our training, dedication, and professionalism first hand. Our trainers are skilled in multiple training techniques as we know this additional education ensures our clients aren’t missing out on the best training available. Your Tug Dogs trainer will discuss your dog’s training plan, equipment, and training exercises with you prior to training taking place so that you have a full understanding of the process and have the ability to request changes or ask questions. We can customize training to suit your specific requirements and will always share insight into the best training possible as you work with us. One of the most important aspects of our training is our investment in YOU, your dog’s handler. The reality is 99% of your relationship with your dog takes place in day to day living with your dog and not during specific training exercises. Your Tug Dogs trainer will help you learn easy and effective ways to create a positive training relationship both in living and in training your dog! What will be my role in training? So glad you asked! Your role in the training will vary a bit based on the needs of your dog and the training option that you pursue. That being said, every dog owner whose dog comes in for training must be prepared to learn and then follow through with training exercises and rules at home. Your Tug Dogs trainer will help you learn to incorporate simple but powerful new habits with your dog so that you see quick results from training and so that those results last. The information will be broken down into steps that are easy to put into practice and don’t require large amounts of time in most cases. Our average client is practicing 20 minutes per day until a new behavior is a habit (2-4 weeks on average). In the end, we are looking for clients who will take the valuable information we have to share and apply it with our careful guidance. Once we have helped you refine your handling and get into good training habits, you won’t need us anymore and we can move on to help the next dog owner in need. Will you be able to train my dog? While marketing slogans you may see on other training sites like, “we can train any dog in 2 weeks” or “we will do all the work so you don’t have to,” may sound appealing, they are not based in truth. It is impossible for us to know how trainable your dog is without meeting them first and observing what is going on. That being said, Tug Dogs trainers have an excellent track record in working with all types of dogs, including those who have struggled in training elsewhere or those with significant and lengthy behavior problems including bite histories. Our $200 evaluation session is the BEST way to find out just what we have to offer and get answers to all of your questions. Plus if you sign up for one of our training programs, the evaluation session is free! Our trainers will share their full insight into what you can expect to achieve during training and how long it may take once we have had the chance to meet your dog and determine their response to training. Do you train service dogs? There are two components to service dog training: task training and public access work. Task training involves teaching your dog to mitigate your disability by performing a specific task such as a diabetic alert dog notifying their owner of blood sugar changes, a seeing eye dog helping a blind person navigate, or a mobility dog retrieving items for their handler. Due to the lengthy training time involved in training for task work, Tug Dogs trainer do not provide service dog task training. Our trainers do however provide public access training which involves teaching a dog obedience training and appropriate behaviors in a variety of public settings. During public access training, we will work with you and your dog to ensure they are prepared to handle the challenges service dogs face every day including crowds, going into stores/restaurants, children, other animals, noise, surface changes, and other general distractions. It is important to note that most dogs are not good candidates for service dog training. In order to be a potential candidate for service dog work, your dog must not have serious behavior issues including aggression, reactivity, anxiety, fear, OCD, or hyperactivity. 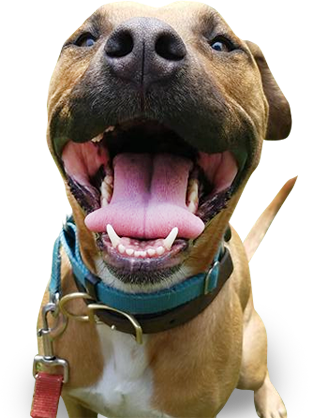 We will happily help you to determine if your dog is a good fit for service work during our private evaluation at the start of training. How do I decide what type of training to purchase? Finally, an easy question to answer! The first step in our training process is scheduling an evaluation together so that we can get to meet you and your dog, see their issues first hand, start their training, and assemble a training plan that will meet your goals. At the end of your private, evaluation session, you and your Tug Dogs trainer will sit down and discuss training options, what your role in the training process will be, and you will have the opportunity to get all of your questions answered. Why is Tug Dogs more expensive than trainer X? Just what are you paying for when you hire a professional dog trainer? Many dog owners believe that you are simply paying for our time however the reality is that you are also paying for our skill level. Our trainers spend years honing their craft so that we bring you the BEST training. The truth is, price and value are just not the same thing. If you pay a little less for training that doesn’t work or even worsens your dog’s bad behavior, you have wasted both your time and money. Instead of discounting our services, our trainers work hard to ensure that you get what you pay for during your training time with us. Like in many parts of life, you usually get what you pay for! How is Tug Dogs different than other trainers? Having 30+ years of collective, dog training experience provides our clients with a number of benefits that result in your dog being well trained and behaved. Because we have handled hundreds (if not thousands) of seriously behavior challenged dogs, we know how to carefully construct a training plan that will guide you and your dog to meet your goals. Our trainers know how to accelerate your dog’s training, make results last, help you grow as a handler, and avoid the roadblocks to success that plague so many dog owners. Because we have helped so many in need, we know how to customize training for you and have lots of resources available to help you meet your training goals. And equally important, we know how to explain the training in a way that makes sense and makes it easy to put into practice when we are not with you. Beyond experience, Tug Dogs trainers are passionate. Dog training isn’t just a paycheck for us, it’s a lifestyle. So when we make a commitment to work with you and your dog, we are just that….committed! We want to see you be successful and we work hard to ensure that you are. In addition to our experience and passion, we are not pushy salespeople who are more interested in what’s in your wallet than what’s on the end of your leash. Our trainers will ALWAYS give you honest information about what they know is best for you and your dog so that you can make informed decisions and have the freedom to ask lots of questions. Our goal is for each client to have a positive training experience that results in a better understanding of their dog, an improved relationship between dog/owner, and a better-behaved pup overall! I’ve already tried dog training and it didn’t work. Will Tug Dogs training work? Dog training is a totally unregulated industry which means that anyone can (and does) call themselves a trainer without meeting any standards of experience or education. At Tug Dogs, however, all staff members must meet extremely rigorous education and experience requirements including completing 2 professional trainer’s courses, apprenticing under Tug Dogs owner Erin Kramer, and passing written and physical testing for hands-on training skills. Not only do our trainers adhere to the highest of training standards, but they also participate in ongoing dog training education to ensure that we offer the most cutting edge and highly effective training possible. It is not uncommon that our trainers are called to work with dogs who have been through multiple trainers with limited or no success. Our staff prides ourselves on these challenging cases and the Tug Dogs name is known all over the West Coast for working with dogs who have struggled to make progress elsewhere. During the evaluation, your Tug Dogs trainer will provide more specific information after getting to know you and your dog including an honest assessment of the steps moving forward and reasonable training goals. Does Tug Dogs offer a training guarantee? Training a dog is not like fixing a computer or a car. A dog is a living, breathing being whose behavior changes and is influenced by a wide variety of factors including their health, genetics, early life experiences, current environment, and your follow through! Because our trainers are not in control of these factors, there is no way we can guarantee specific training results. When you purchase a program that includes dog training insurance, you get assurance that your trainer will be there to support you through any issues with free follow up lessons and coaching so you can have the dog of your dreams. During the evaluation session, your Tug Dogs trainer will go into detail about what you should expect from training and what we will bring to the table. In the end, we are as committed as you are to helping you achieve your dog training goals. Does Tug Dogs offer training services for shelters or rescue groups? We sure do! Tug Dogs has worked with lots of rescue and shelter organizations all over the Western United States and we provide discounted dog training services and FREE human education to shelter and rescue staff. Get in touch with us to learn more about how we can help your dog related non-profit group. How does board and training work? Our board and training programs are the most intensive training we offer and are an excellent choice for dogs coming from outside the Sacramento area, dogs who need training to an advanced level, owners who want to see rapid results, and dogs with serious behavior issues. Board and training includes living with a Tug Dogs trainer, receiving 5 training sessions per day, social/exercise time, and training field trips as needed. Our trainers pride ourselves on treating every dog who stays with us as we would our own (and our own are well trained but still spoiled!). The first step of our training process is scheduling your free phone consultation by clicking the blue button below. During your phone call you will have the opportunity to tell one of our professional trainers about your dog’s training goals and learn more about our process. At the completion of that call, you will have the opportunity to schedule a private evaluation session. The evaluation gives our trainers the chance to see your dog first hand and to learn more about how we can help. At the conclusion, we will review training options with you and answer all of your questions. Evaluations are free with the purchase of a training program. Should you select a training program that includes our rapid results board and training, we will schedule your dog to come and live in the home of our lead trainers. Our homes are carefully designed to accommodate dogs with even severe behavior issues. Bringing dogs into our homes not only makes them more comfortable than receiving training in a kennel environment, but it is also necessary to ensure that they are practicing real-life experiences such as welcoming guests, walking in a neighborhood, and living with day to day distractions in general. Plus living in a home is just much more enjoyable for your pup! We pride ourselves on open and honest communication here at Tug Dogs and our staff will never make promises just to try and get you to sign up. Instead, we feel it’s important for you to understand the training process and how it applies to your dog. Until one of our trainers has had the opportunity to evaluate your dog, we cannot provide specifics about how long their training will take. The truth is that a dog’s training success depends on many factors including your follow through, the severity of your dog’s issues, how motivated your dog is, and how quickly your dog responds to training. During your private evaluation, your Tug Dogs trainer will get to know you and your dog, learn about your training goals, start your dog’s training, and discuss training options with you including the length of time and cost. This way, when we give information about what training we suggest, it will be fully customized to you and your dog so that you are not spending more time and money than you need to! The first step in training with a Tug Dogs trainer is scheduling a private evaluation. We have trainers located throughout the Sacramento, Roseville, Lodi, East Bay, and Portland areas and will partner you with the closest trainer possible. Your evaluation (and future training) location will be determined by your trainer based on where you live and what special needs your dog has. It is not uncommon that you may have to drive to your trainer’s location as he or she may need a non-distracting space to work with your dog, special training equipment we have on sight, or access to other dogs that may help your dog’s training. Your Tug Dogs trainer will discuss training location with you at the time you are making your appointment. We regularly service clients in the Danville, Berkeley, Oakland, Portland, Camas, Vancouver, Roseville, Granite Bay, Natomas, Antelope, Sacramento, Midtown, East Sacramento, West Sacramento, Citrus Heights, Carmichael, Fair Oaks, Elk Grove, Lodi, Land Park, Pocket, and most of the metropolitan Sacramento area. Does Tug Dogs offer assistance in re-homing dogs? Unfortunately, Tug Dogs is not able to assist dog owners in finding new homes for their dogs. Our staff simply does not have the resources available for recruiting adopters and assisting with placing dogs in new homes. We recommend getting in touch with local rescue groups, humane societies, shelters, or sanctuaries to see what options are available in finding a new home for your dog. The first step is to click on the Calendly link located in blue below. Following the link will allow you to schedule your completely free consultation phone call where we can learn more about your dog and your training goals as well as provide you with information about our training process. This will also give you the opportunity to ask any questions you may have and ultimately decide if we are the right fit for your training needs.